How did Sean become so passionate about computer engineering? When did it all start? 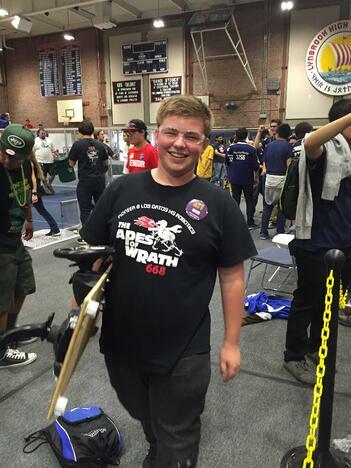 "My experience with Robotics is like a long and winding road which took many unexpected twists and turns" shares Sean. 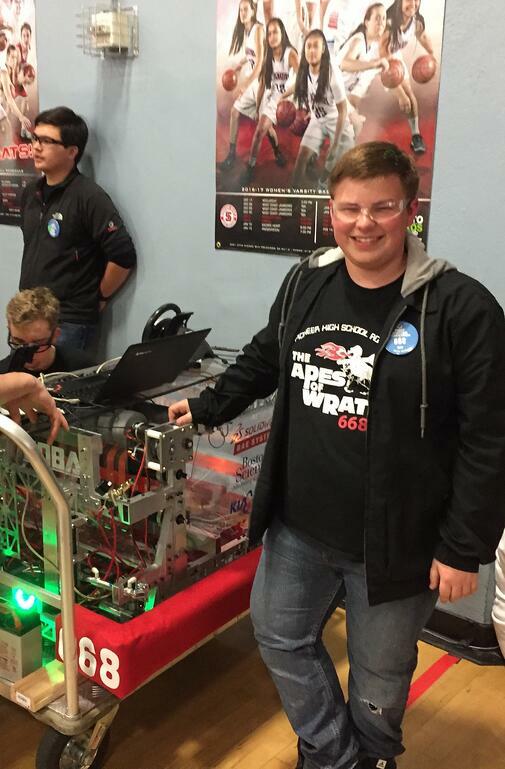 He discovered his passion for engineering and computer programming in high school, where he was first introduced to the Robotics program. Tell us about your first years of experience in Robotics in high school. My enthusiasm to join the Robotics program in high school was quickly stifled by brusque upperclassmen who didn’t seem to care if I was there or not. I contemplated quitting. But I loved technology and engineering so much that I stayed. Through hard work and countless hours, I became a major team contributor. By my junior year, I was selected to be the captain of the robotics team. I was determined to lead the team in a new direction where everyone felt they belonged. A leader on the Robotics Team of his High School! What kind of challenges did you have and how did you learn to overcome them? One night, I got a message from a dismayed team member that they didn’t feel welcomed and wanted to quit. Being disabled, I can be self-conscious and know what it feels like to be misjudged. I quickly called a team meeting to discuss address how to make everyone feel comfortable and part of the team. I understood this would be a difficult but necessary conversation. It was tough because many team members were good friends of mine but I was determined to make our team a welcoming place. Now in my second year as team captain, I realize I have that strength inside of me to lead and have those occasional uncomfortable talks. As a result of creating a welcoming environment, our robotics team has grown from twenty to a sixty-student team. Also, last year was the first time we actually built two robots in the allotted time. I am so glad I have helped to create an environment where everyone is learning and having fun but most of all, a place where everyone is welcomed and comfortable. As a leader, I have learned that my success is truly determined by the success of the group. Robotics sparked my passion for engineering and given me a goal for college and career. How do you leverage the skills you gained through robotics to help the community? "I was able to transfer my project management and leadership skills I learned in robotics to my volunteer work with the Santa Clara County Youth Task Force. The Youth Task Force is a group of 12 high school kids who performed community outreach services (like Day on the Bay) as well as review policies and initiatives and give the city council feedback how issues would impact children and youth in the county. 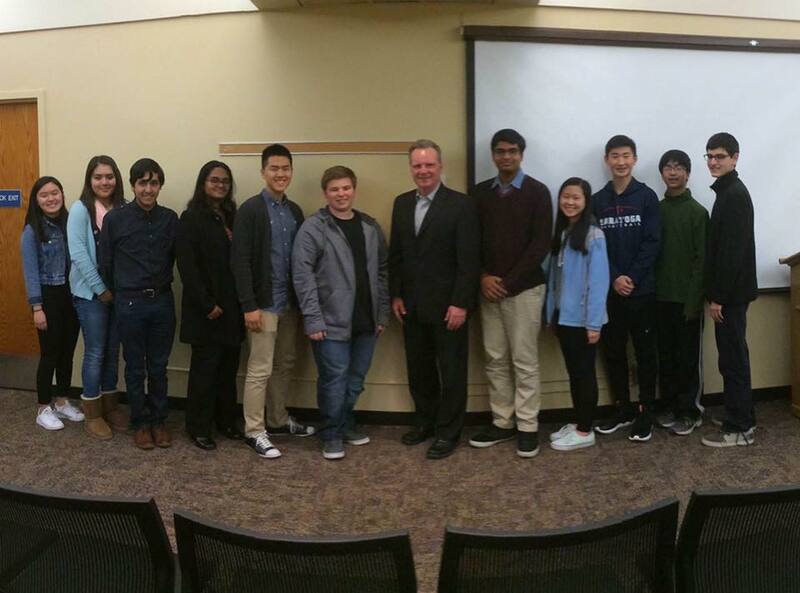 My service on the Youth Task Force opened my eyes to the broader community and how underrepresented groups need to provide an organized and consistent message to drive change. I was able to work with the Youth Task Force for three years and was able to bring awareness and funding to disabled sporting activities like Wheels on Fire. Through my volunteer work I learned that my actions really could create a greater impact on the community and drive social awareness. With the ABC Medical scholarship, I can pursue a higher education and create positive changes in my community through my passion for engineering and community service. My long term goal is to create a robotic skeleton which can provide mobility assistance for the disabled. With the help from scholarship funding, I will be able to attend my dream college and gain the education and expertise to turn a robotic skeleton into a reality! With passion and drive anything is possible."